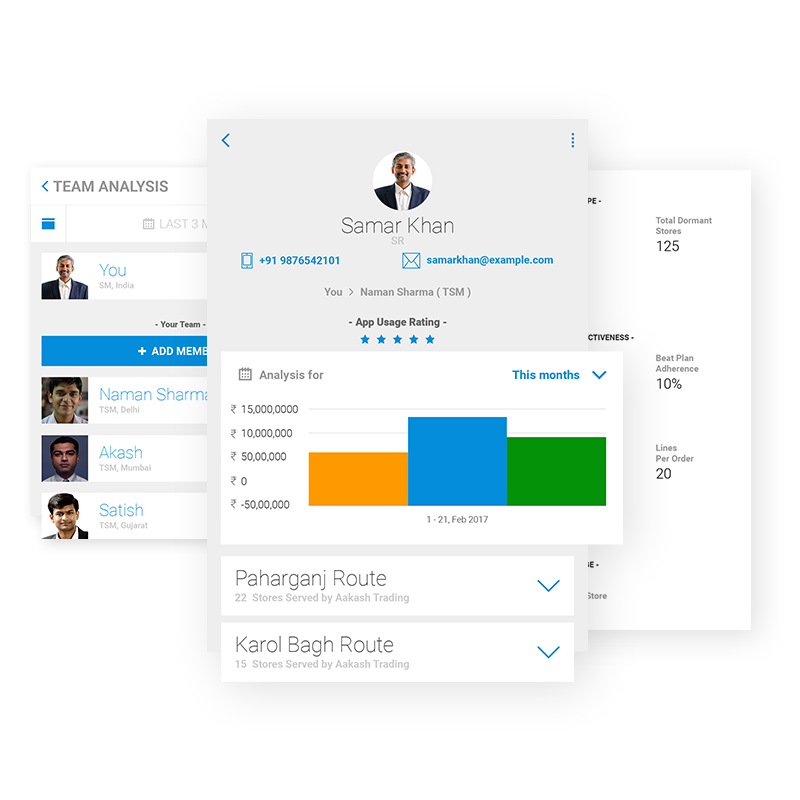 Configurable app for field execution scenarios across industries, making field teams 10 times more intelligent through proprietary algorithms. 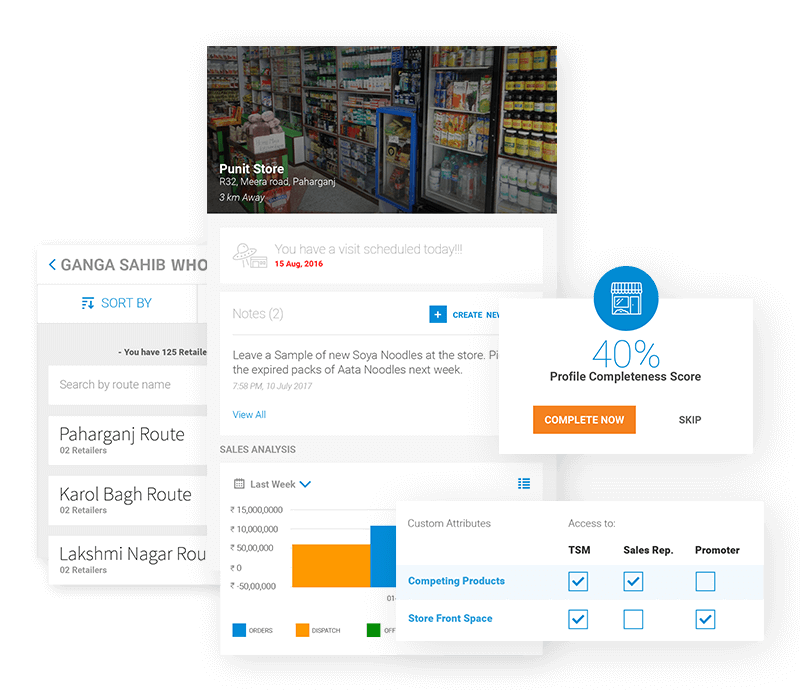 Smart geo-tagging, pictures, custom fields, approval workflows, KYC process, profile completeness score and customer data de-duplication algorithm. 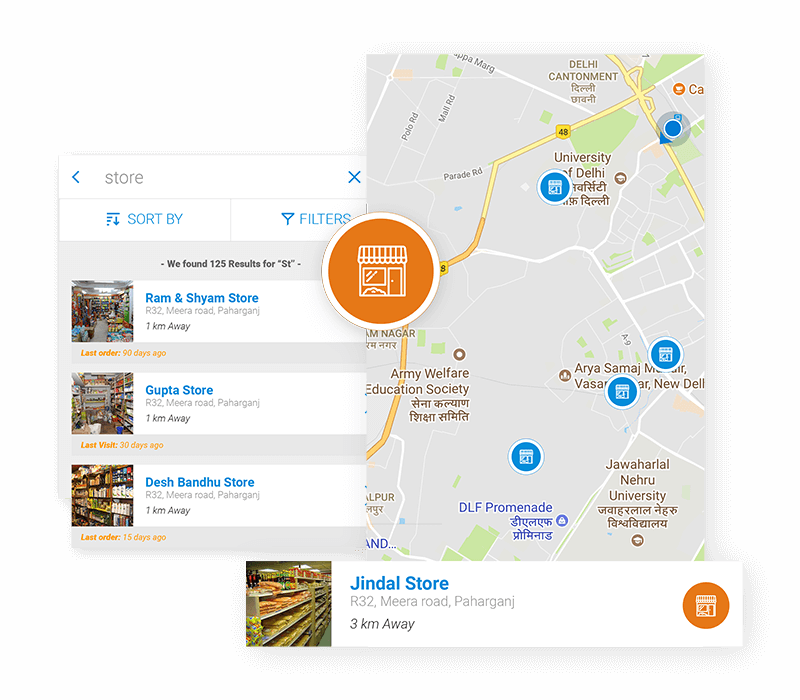 Field Force Automation with Geo-tagged visit transactions, Route optimization, Visit planning, Journey planning, backed by location intelligence. setup, scheme targeting and broadcasting, auto-application of schemes on order, stock visibility, order recommendation engine, primary and secondary orders and full sales force automation. 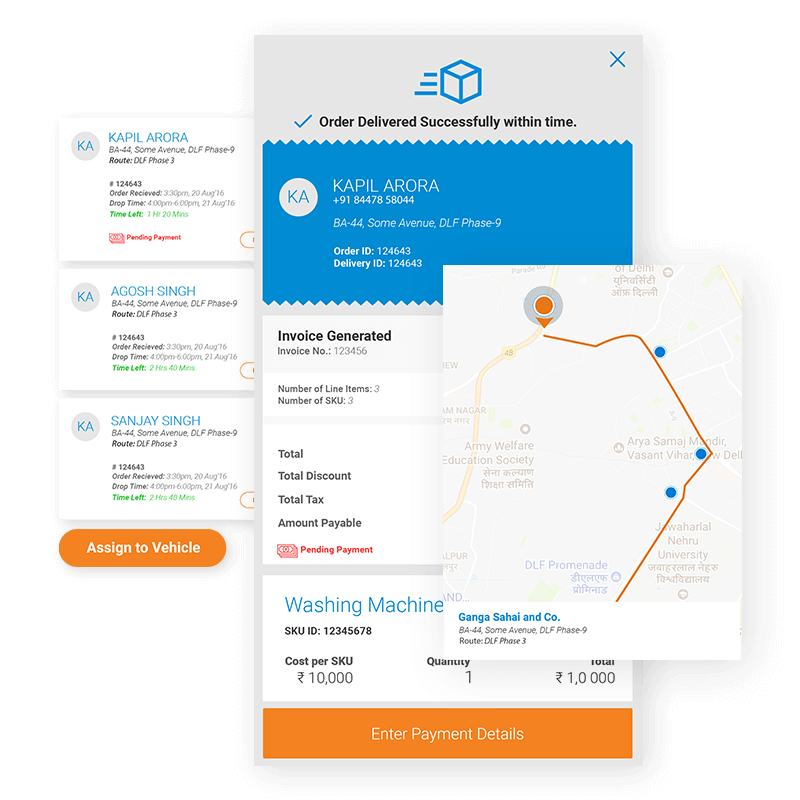 Tax invoicing, beat-wise delivery of order, on-demand delivery, delivery agent allocation, delivery route planning and optimization, van sales automation, payment collection. 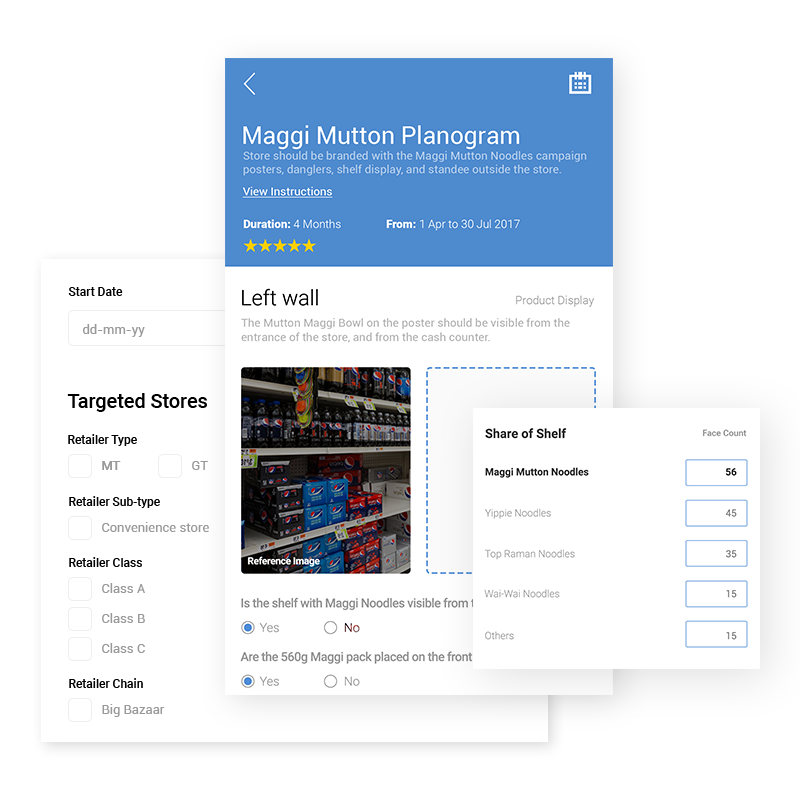 Merchandising campaign setup with instructions, benchmark pictures and questionnaire, Feedback from field in the form of pictures and answer and Centralized grading. 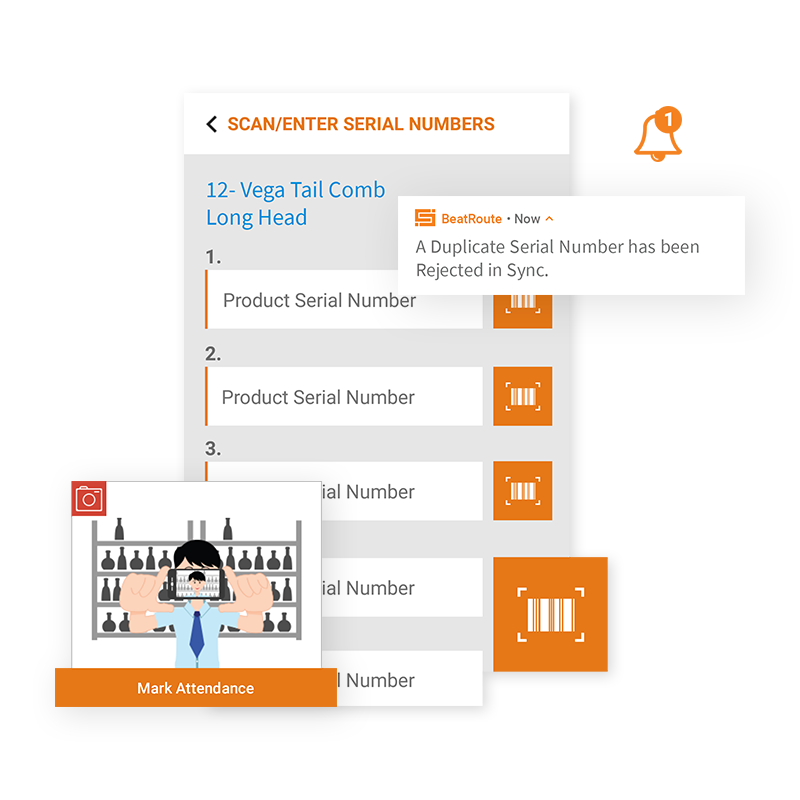 reporting from stores, serial number scan, GPS and Selfie-based attendance, customer feedback, stock reporting, product launch communications. Target v/s actual performance for self, direct and indirect team members on MTD, QTD and YTD basis, Performance including field force effectiveness, market coverage, sales analysis and customer landscape quality. Mobile app for Lead management and closure with GPS tracked visits. 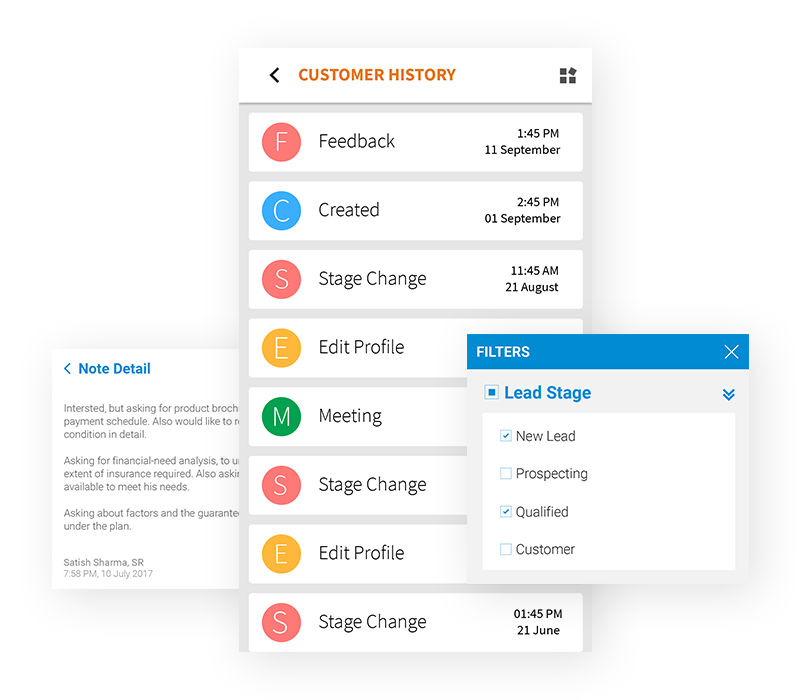 Integration with backend CRM infrastructure such as Salesforce.com. Intelligent assignment to field executives. Configurable app for distributors, warehouses & 3rd party logistic providers. 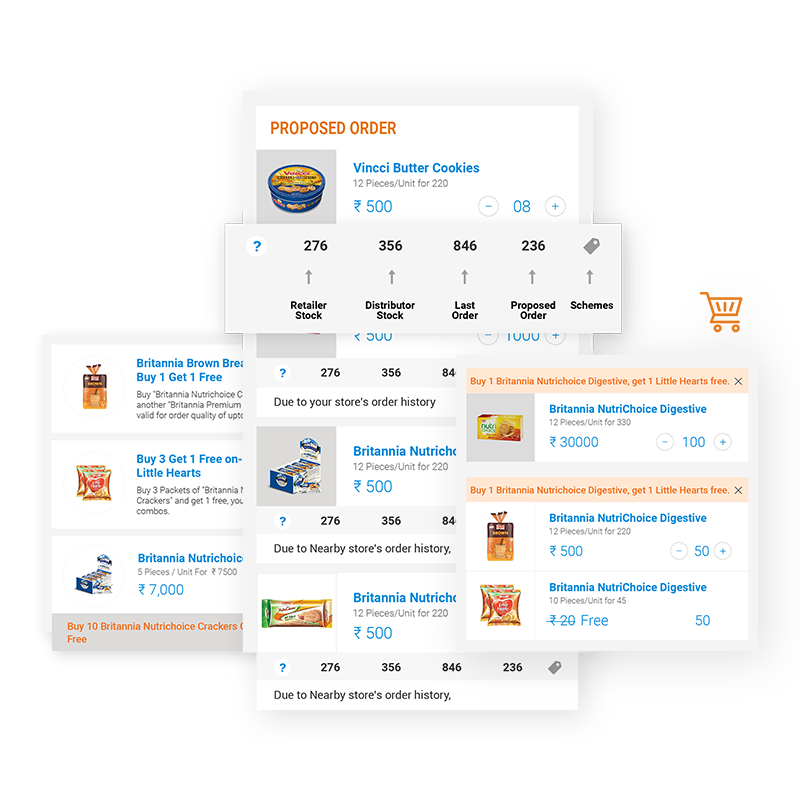 Configurable app for retailer, restaurants and other business customers across industries.